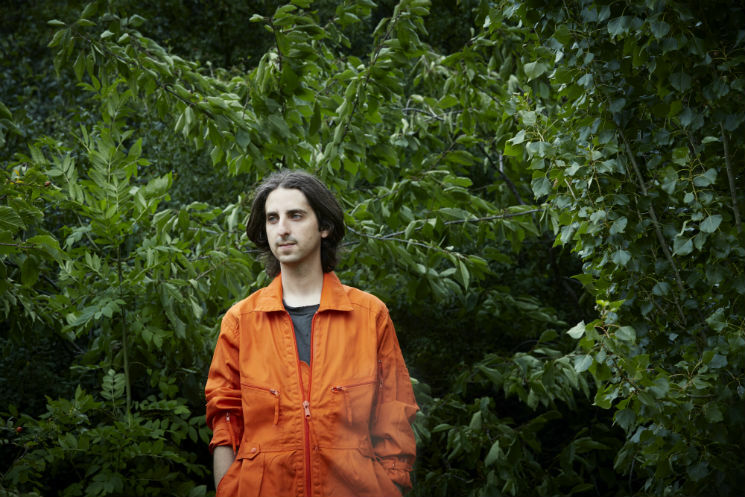 British producer and Bedroom Community label head James Holden — who takes a call for an interview with Exclaim! from his West London studio after a leisurely evening stroll through the nearby woods — admits he wasn't aware of Cambodia's modern humanitarian crisis before Irish filmmaker Chris Kelly reached out to ask him to score his new documentary, A Cambodian Spring. "I have quite a comfortable life. I'm in a nice studio in London and it's warm and I have nothing to really worry about compared to these people," he says. "I had no idea, really. It really opened my eyes. And I don't think of myself as someone who doesn't pay attention. I try to read the news." In Kelly's documentary, the despotic spirit of the Khmer Rouge lingers in plain sight. Filmed over six years from 2009 to 2015, A Cambodian Spring underscores the plight of a community living along the Boeung Kak Lake in the country's capital and their efforts to resist the violent land-grabbing efforts of real estate development backed by Cambodian Prime Minister Hun Sen — a leftover from Pol Pot's Khmer Rouge. When Kelly sent Holden a rough cut of the film that ran an hour longer than the feature, he connected with the humanity instantly. "I guess even though the film wasn't really finished, there was something in the atmosphere of these gloomy shots. And the story with the protesters is very powerful. So I felt quite drawn into it." Holden says he originally approached the project researching the region's music and trying to emulate it with his modular system, but scrapped the concept after consulting with Kelly. "Chris basically said, 'No, it should be the opposite. The music shouldn't go and meet Cambodia, it's more showing how Cambodia is just a mirror of where the audience lives. It should be put into our world." The resulting soundtrack is a multidimensional showcase of the modes Holden's favoured across his career, primarily rendered on a Prophet 600 and a Hammond Organ. "There's a bit of the modular synth, but this was quite — there's something about just keyboard instruments. There's a few rumbles from the modular, but I kept it quite limited, really. A lot of it is just me playing along as the film played and trying stuff out and making layers that way." In one experiment, Holden pushed his Hammond to its absolute limits; the internal speaker cone shredding itself to pieces. "The Hammond has a rotating speaker in it, or some of them the speakers rotate, and some of them it's like a baffle around the speaker, but that's what gives the Hammond this wobbly, rich, thick sound," Holden explains. "I could hear this kind of buzzing coming from it, and I thought, 'Oh, maybe I've just hit a harmonic or the tube amp is distorting a bit or maybe the spring reverb is resonating; but it sounds dope, 'I'll push it.' And I'm watching the one riot happen and putting my beer mat under the keys to make a bigger and bigger chord, this big drone I'm kind of manipulating, pulling the draw bars, trying to find where the buzz was the richest. "I was like, 'this is perfect, this is great' and then all of a sudden, all of the sound just vanished and just [imitates crumbling sound], and what I thought was some kind of electronic artefact in the organ was actually that speaker just gradually ripping itself apart under this drone, which is a perfect metaphor for what's happening in this film, I guess." By letting go and allowing the film to dictate the music, Holden — who has increasingly gravitated towards live collaborations, including his newly expanded touring band the Animal Spirits — says it was one of the most liberating experiences he's had creating music in recent years. "It was just really freeing sitting down and watching what came out," he says. "Compared to the other things I've been doing, it was quite an immediate process. The Inheritors album that I did using the modular synth, you end up with a load of material that you have to piece together and make sense of — you're making the music and seeing how the music comes out, I guess. In a similar way, my Animal Spirits album with my band, you're kind of seeing how you kind of get together and the improvisation makes the shape of the music." Taken in apart from the film, the mix of styles and tones across the soundtrack's different themes can be emotionally jarring and overwhelming, but so are the experiences depicted in Kelly's picture. Over the course of the film, two "housewife activists" fall out with each other as one travels to New York to receive an award from Hillary Clinton while the other's home remains in the path of the demolition; a Buddhist monk in saffron robes risks his status to help the community as he attempts to amplify their voices in protest; a lake is filled with sand. Holden's soundtrack further grounds those scenes by providing an emotional vocabulary western audiences can immediately relate to. "It's not foreign; that's the thing. We tend to think of these countries as being different, and I guess what I've learned as I started to travel to more exotic places – when I was DJing, particularly, and now with a band — is that nowhere's different. Everybody's the same. Some people are richer or poorer or more comfortable and less comfortable, obviously, but the sort of feel of it—" Holden trails off. "There's a universality and I think this chat with Chris at the start of making the film, we were kind of on the same page already." For now, he hopes Kelly's documentary gives the struggles it captures on film a meaningful signal boost and strengthens solidarity across the globe. "I think Chris has worked really hard to spread this story and raise awareness of what people are fighting there. I think things like this do make a change. Corruption can't carry on if you shine a light on it. But, I mean, long way to go." A Cambodian Spring OST is out now via Border Community.